Victorian conservatories are very popular because they suit all house styles – be they period property or a new build. The Victorian conservatory springs most readily to mind when people think of conservatory styles. The Victorian conservatory style includes a bay front, a steeply pitched roof and ornate ridge details. These days, of course, your Victorian conservatory is made out of modern materials such as PVCu and aluminium and is built to last. Victorian styles comprise the three-facet , featuring a bay front with three main windows at wide angles, and the five-facet Victorian. This conservatory also has a bay front but with five main windows for space as well as aesthetics. 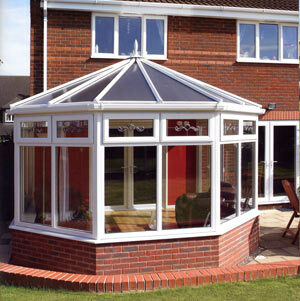 At Bahama, our Classic roof system gives your Victorian conservatory a distinguished and classical appearance. Your conservatory can also be configured in virtually any design. It was during the Victorian era in which the nation's love of the conservatory blossomed. This was because of the Victorian's love of foliage and exotic plants, which required a method of keeping them alive during the cold winter months. In the 19th century, Victorian conservatory styles were created with ever-more-elaborate details to complement the period homes of the time. Victorian conservatory styles often included a Gothic shape to the windows and doors and complicated shapes in the roof, which was often steeply pitched, just like the roofs of Victorian houses. A Victorian conservatory should blend with the property and not look like an afterthought. However old your property, though, your Victorian conservatory can have modern double-glazing, electric ventilation and underfloor heating. Ideally, your Victorian conservatory's exterior colour will match the exterior of your property. Victorian conservatory styles often featured thin frames and glass. For manufacturers of modern Victorian conservatories, the trick is to replicate this style and still meet local planning and Building Regulations. So, whether you want three or five facets, white or oak, your Bahama Victorian conservatory will look classic and elegant as well as being highly versatile and pleasing on the eye. 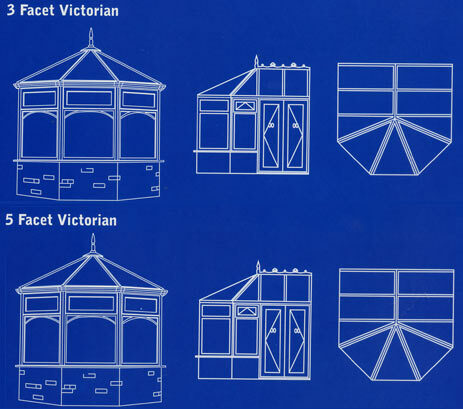 At Bahama, all our Victorian conservatory styles are made to suit your needs. It's your choice about the finish you have and even where you want the doors. Please note, that even the capping on our roofs is double glazed, giving you up to 40% more heat saving than other makes and creating a solid and durable extrusion that will not twist, warp or slip down the rafters, a common problem on many UPVC conservatories. 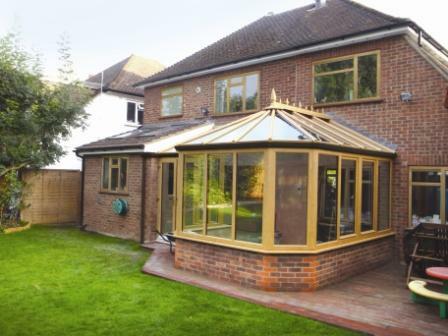 We install specialised glass tuners that hold the double glazed glass sheets in place and prevent the glass sliding down the roof, knocking off the rafter end caps and opening the ridge area to the outside elements allowing rain to flood the conservatory. Believe us, you don't want this to happen to you, especially if your installer has ceased to trade.